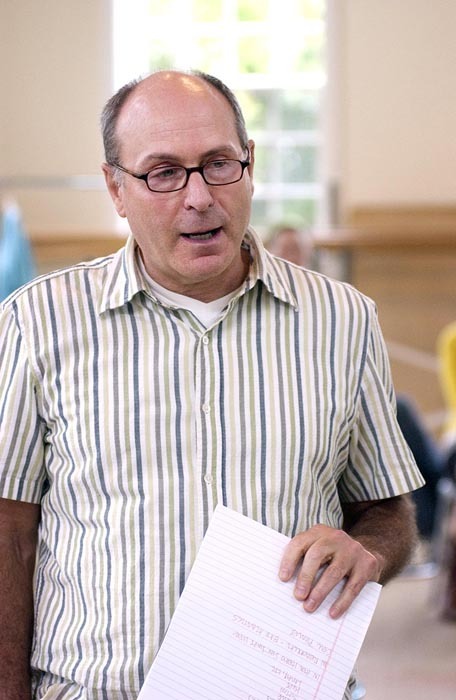 James Lapine (pictured) has won the Tony Award three times for the best book of a musical, for Into the Woods, Passion and Falsettos. His list of other Broadway and Hollywood credits is long and illustrious. Mandy Hackett is the associate artistic director of the Public Theatre in New York city, one of the most vibrant and important performance spaces in New York city and therefore, by extension, the world. Tonight Mr. Lapine and Ms. Hackett will be on the Vineyard helping out a group of up-and-comers from the Vineyard Arts Project. The writers and performers at the Vineyard Arts Project work and live together on the Island for weeks at a time, developing new material and digging deeply into the artistic process. Tonight they come up for air and everyone is invited to witness how seasoned professionals unpack a script and embark on the development process. The event begins at 7 p.m. at 215 Upper Main street in Edgartown. It is free.